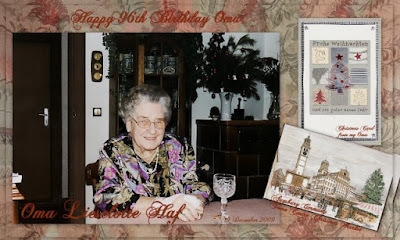 Today, my (maternal grandmother) Oma, Liselotte Haf née Kaiser-Saule (1913 ~ 2010) would have been 98 years old. Oma was born in Zurich, Switzerland. What a wonderful day that was ~ Happy Birthday Oma, we love and miss you! Oma grew up and resided in Augsburg, Germany all of her life . . . very close to the town hall centre shown on the Christmas card above and in this live web cam (Christmas Market is closed at the time of this posting) of the Rathaus Plaza and Christmas Market. Augsburg is nine hours ahead ~ when the market is open, it's absolutely beautiful to watch. What a coincidence...my great great grandmother Barbara Lena Häberling was born in Zurich, Switzerland also. My daughter recently visited Switzerland and took photographs of the place where she had been born. Sharn, that is a nice coincidence to have our ancestors born in the same city and what a wonderful gift to have photos of where your great great grandmother was born ~ I bet they are just beautiful!! I think my grandmother left not long after she was born and grew up in Augsburg, Germany . . . which is not far from Zurich. 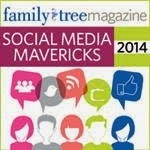 Would love to see your photos sometime. Thank you for stopping by, Sharn . . . it was nice to see you here.